Sen. Jerry Moran, R-Kan., highlighted the benefits of broadband services for rural areas, and with Democratic control of the House coming in January, offered an optimistic view on the prospects of bipartisan broadband expansion legislation. “Many of us look for issues where we can find common ground and bipartisanship. They’re too rare, but this is an example where there is broad support from Republicans, Democrats, House, Senate, and the Trump Administration. The deployment of broadband across the country is something that does bring us together, and it makes it an enjoyable issue to work on,” said Moran on Wednesday during Bloomberg’s Next.2018 event. The senator made it clear that broadband access in rural areas needs to be a priority. “I would dissuade people from thinking that rural America or agriculture is backwards. Technology is hugely important in today’s rural communities, particularly in agriculture. The access to broadband means that the devices on every tractor and every combine will work. It determines whether or not we efficiently apply chemicals and water. There is just nothing that is remotely aged about agriculture,” the senator said. 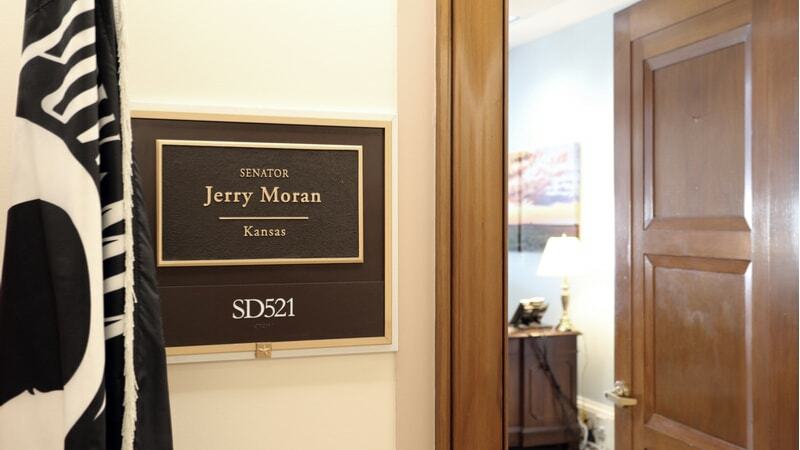 Moran, who is chairman of the Senate Commerce Subcommittee on Consumer Protection, Product Safety, Insurance, and Data Security, talked about the balance between government and industry that he looks for in efforts to expand access to broadband expansion. “$1.5 trillion has been invested by the private sector in broadband deployment and upgrades, so it’s a private sector issue. The question becomes, what do we do to make sure we don’t impede the private sector, and then, maybe the second question is, what can government do to help where the private sector is unable, or it’s difficult, or it’s not profitable,” he said. Moran cautioned against the government assisting in overbuilds of broadband networks where private providers already have a presence. Moran also highlighted the funding behind the two major rural broadband programs, the Universal Service Fund administered by the Federal Communications Commission (FCC), and the Rural Utilities Service within the Department of Agriculture (USDA). The senator offered his criticism of what he called problems with the FCC’s map of broadband availability. With a new Congress coming and infrastructure issues on the Trump administration’s list of priorities, an infrastructure bill might be an opportunity to take broadband expansion even further.